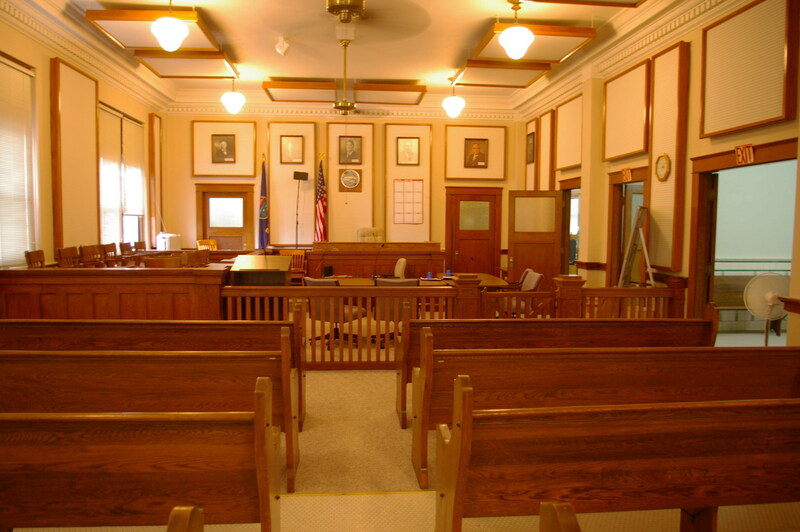 Sheridan County is named for Lieutenant General Philip H Sheridan of the United States army. 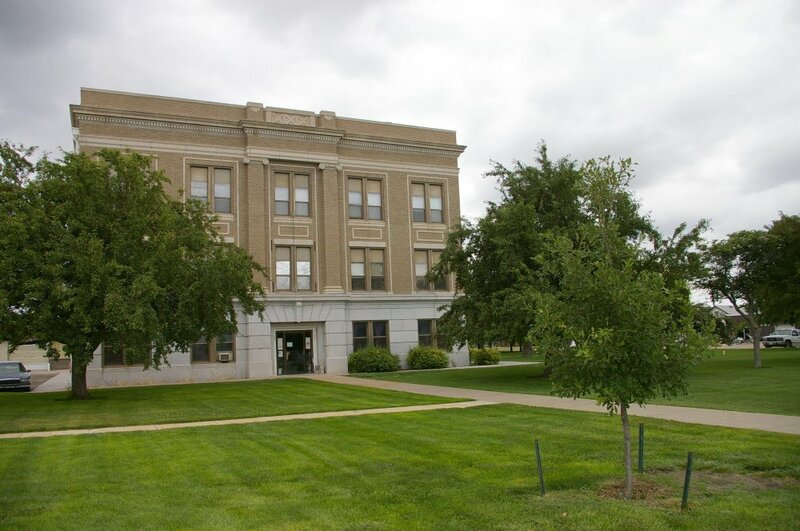 Description: The building faces south and is is a three story buff colored brick, stone and concrete structure. 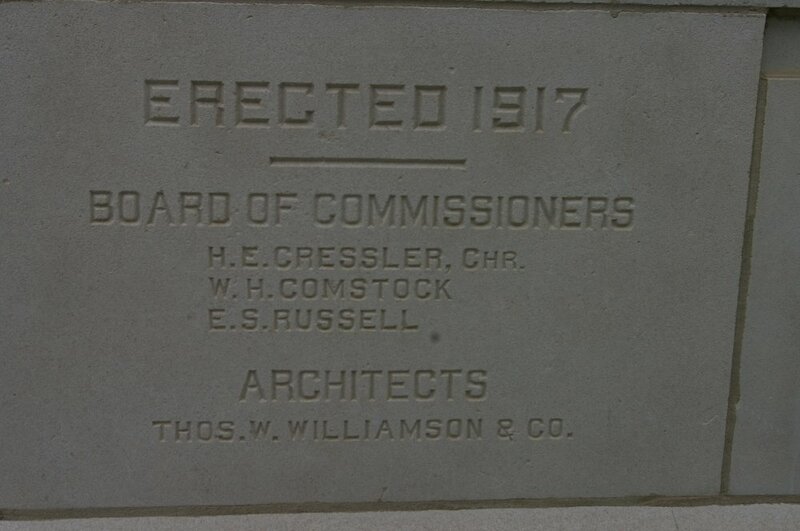 The building has a stone base. 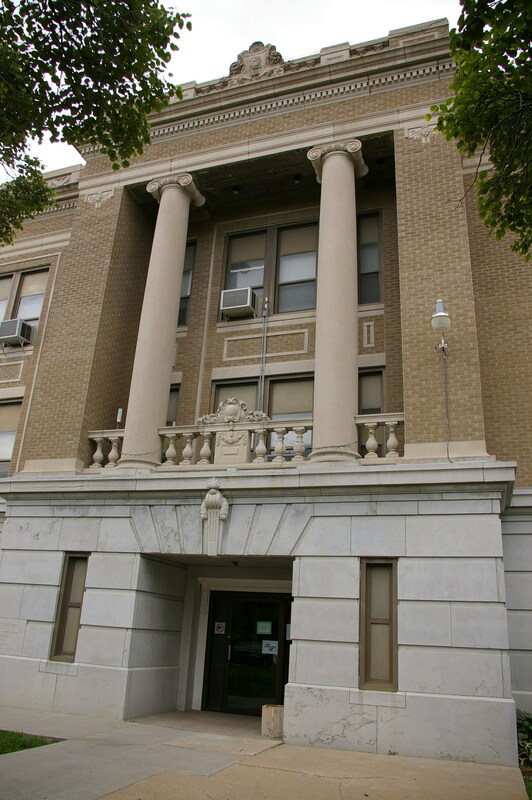 The main entrance is on the east side with two large columns rising from the second to third story. The roof line is flat. 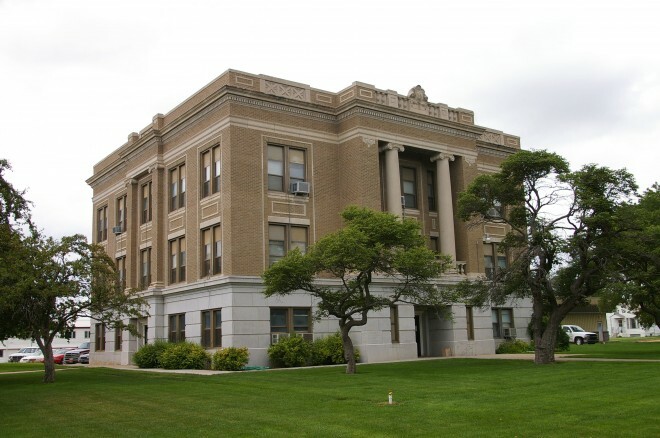 See: The architect, Thomas W Williamson & Company of Topeka, also designed courthouses in Cheyenne County, Jackson County and Smith County.